Antoine Choffel is a partner in Gide’s Competition & International Trade practice group. He was resident partner of Gide's Brussels office for four years before returning to Paris in 2001. He specialises in French and EC competition law (cartels, dominant position, merger control) and represents both French and foreign companies before the domestic competition authorities and European institutions. He also helped to reform economic and competition laws in Hungary and Russia. 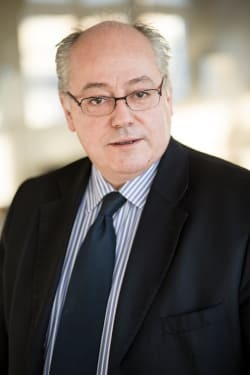 In addition, Antoine advises on other issues of French such as distribution, advertising, pricing regulation and invoicing and, where necessary, represents client's interests in related litigation. Member of the Association Française d’Etude de la Concurrence (AFEC). Antoine Choffel is regularly listed as a ‘Leading individual’ in the EU, competition and distribution sections of various legal guides such as Chambers Global and Legal 500 EMEA.